Winning Expectations | Riverview Counseling Services, Ltd.
How do you know the difference between positive-encouragement-parenting vs. weirdly-overinvested-helicoptering and actually none-of-my-business parenting? When my oldest son played his first season of soccer, he was a dynamo. At five years of age, he didn’t understand what it meant to pace yourself. It was all out effort, all the time. With time and age, he began to understand that maybe soccer wasn’t as easy as he initially thought. Sure, he could still score a goal here and there, but he didn’t much enjoy all the running that was involved. As his other life interests developed, he started to think things like flag football (you only have to run in short spurts every once in a while) and reading (in his mind, very awesomely passive) were better ways to spend his time. Why work hard if you don’t have to? 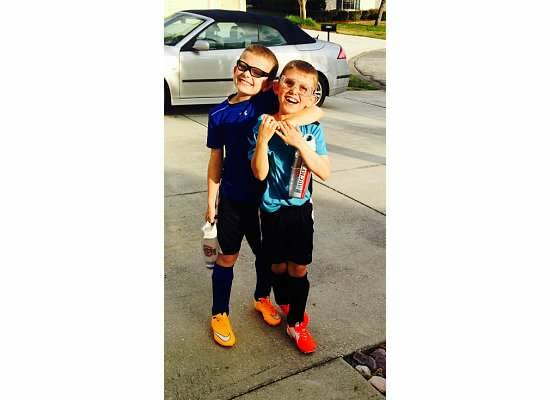 Both my sons, as the little one follows his brother’s lead, recently determined they were ready to hit the soccer fields again. Since it was their idea, we fully supported it. It started out well but by the second game, guess who was walking around the fields after a few minutes of play? My oldest couldn’t keep up with everyone and even though he scored two goals, lost his motivation. It was hard to sit on the sidelines and watch his clear lack of effort. So, what to do as parents? Sit back and let him coast or, push him a little and actually require he make his best effort? This is the million-dollar question. We thought about it long and hard. Eventually, we decided that we were going to hold him accountable to his team and to his commitment to them. If he chose to play soccer, then by all means, he was actually going to PLAY soccer. Of course we knew this could backfire and he might be angry at us. It was also quite possible he would give up soccer forever. We made our peace with these possibilities and moved forward. Half the battle of parenting is being decisive and sticking to that decision. My husband took the lead and told my oldest, as a center midfielder (the player that covers the most field), he would need to build his endurance. And so, began my son’s endurance training. My son was intrigued at the idea of getting up at six with his Dad to go to the gym. He went every day for five days straight. 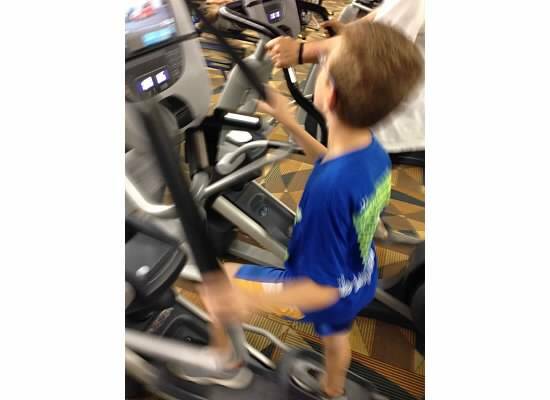 He even started to happily watch Sports Center while on the elliptical and got trained on how to do strength training. This kid was rising to the occasion. Game day arrived and my son was in good spirits having prepared for it all week. All we wanted was actual, sustained effort and we figured, things would fall into place. Yes, at points grew tired, but he played an outstanding game. He had goals, assists and played tremendous defense all over the field. Most importantly, he learned what it means to take responsibility for himself. And that’s the best kind of winning of all. Ultimately, there is never going to be a clear right or wrong answer on how to parent. It’s important to keep trying different ideas or strategies while being open to making changes as needed. In the long run, by being invested in what happens to our kids, will hopefully remind them how much we love them.